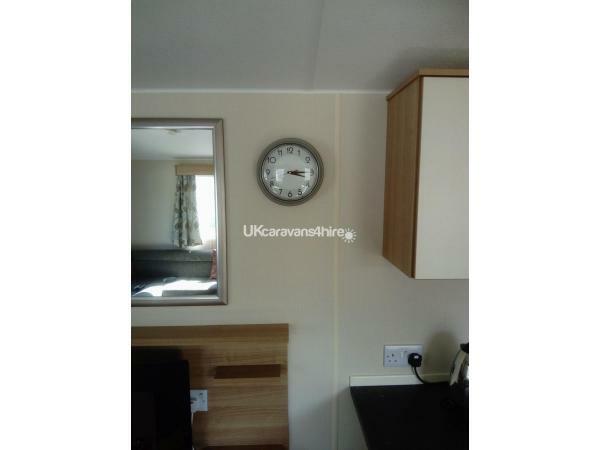 The caravan is a 3 bedroom Atlas Moonstone 36' x 12', having double glazing and central heating. 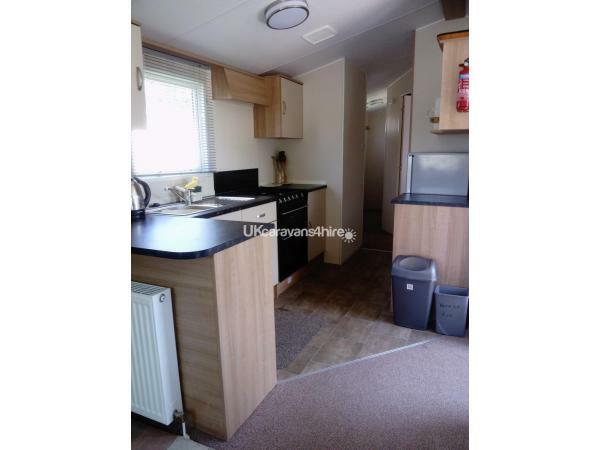 It is spacious throughout with ample storage. 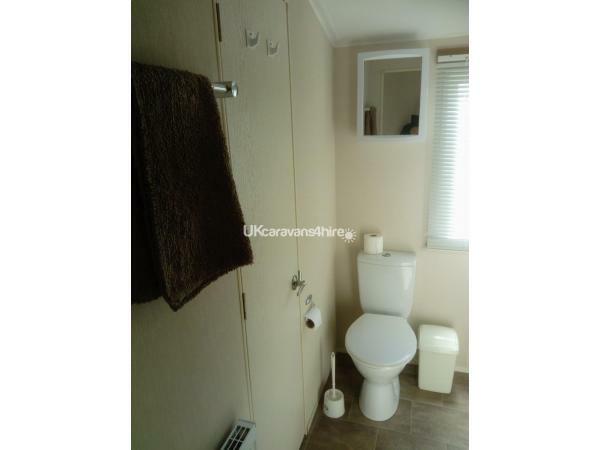 There is an ensuite shower room and also a separate toilet. 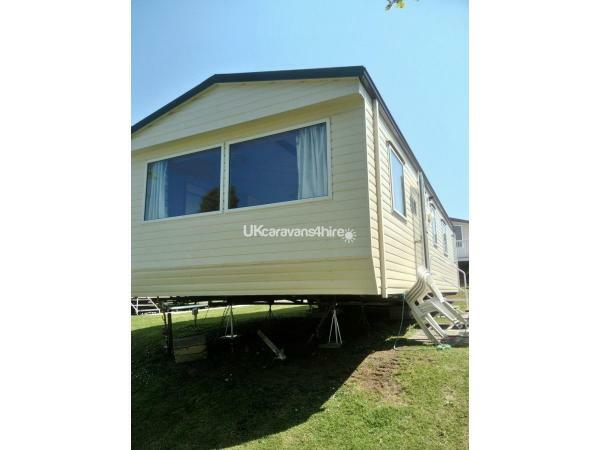 Outside there is a patio area with picnic bench and car parking space. 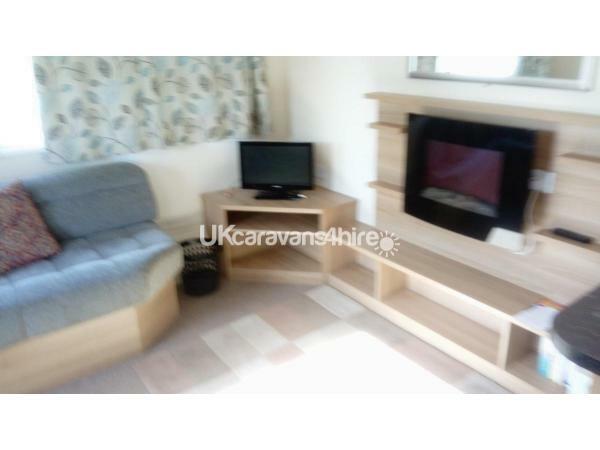 The caravan has full gas oven, fridge freezer, microwave, flat screen TV with DVD and is well equipped. There are 2 double duvets and 4 single duvets, blankets and pillows. Just bring your own linen. Gas and electricity are included in the rental. On Rockley Park there is a grocery and gift shop for all your needs. There is a hire centre and launderette. There are both outdoor and indoor heated pools, bars, restaurant, amusements, tennis courts, bowling green and a spa. Children of all ages are well catered for with daily clubs. There is plenty of first class entertainment to suit all tastes. A pass must be purchased to use the Rockley Park facilities. 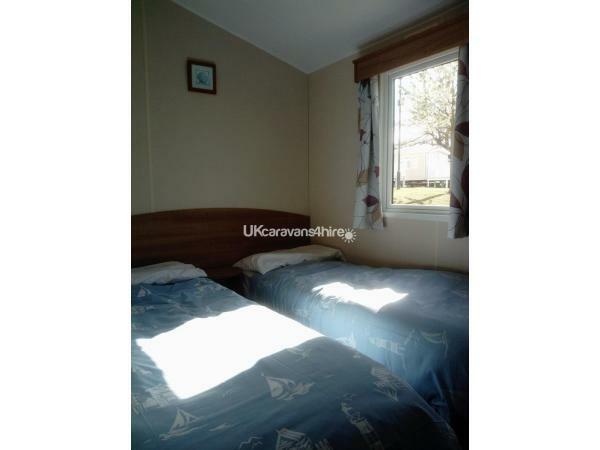 The site is within walking distance of a shallow beach, being ideal for children and all boating and water sports. There is a regular bus service to Poole from where you can pick up bus services to all other destinations. Rockley Park is within easy reach of many interesting places, being near to Bournemouth, Sandbanks and Poole with its Quay, shops and park, also Corfe Castle, The New Forest, Beaulieu, Compton Acres, Durdle Door at Lulworth Cove, Blue Pool, Monkey World, Bovington Tank Museum and The Tower Park Leisure Complex, all well worth a visit.